Thanks to one of my husband’s wonderful patients – we have had a surplus of fabulous home grown tomatoes! I can eat BLT’s all day long, all week – I love them that much – but it still doesn’t use all those home grown beauties before they go bad. So ,I had to come up with another way to use them. I make this up in several batches and freeze. 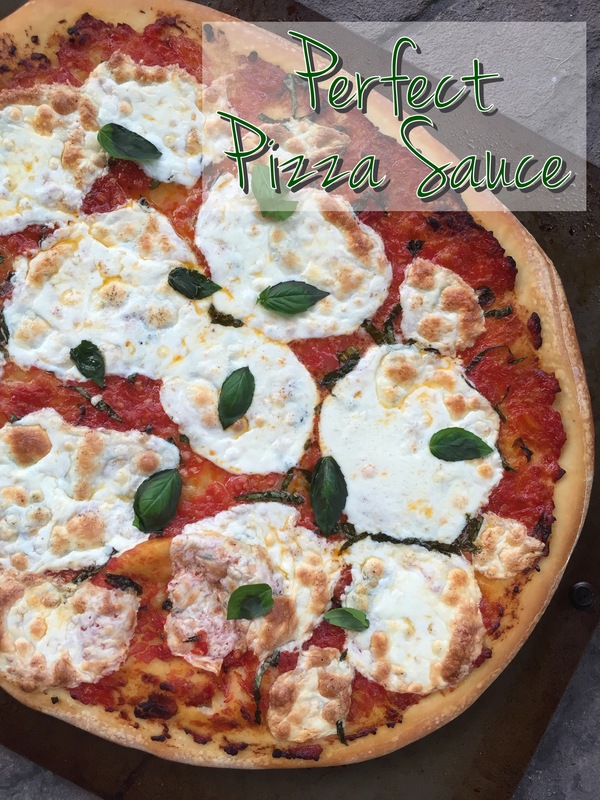 Pull out of the freezer and use with a pre-made crust for a quick weeknight dinner. It’s also great to make when tomatoes are not in season, just use canned crushed tomatoes. Blend tomatoes and basil in blender to a chunky puree. Brown garlic over medium/high heat in olive oil until fragrant (2-3 minutes). Be careful not to burn. Add blended tomatoes and basil to garlic/oil mixture. Bring to a boil, reduce to a simmer and cook uncovered for 45 minutes, stirring occasionally until liquid is reduced. Let cool and use to create your favorite pizza or freeze in a zip lock bag until ready to use. Sounds delish! I haven’t forgotten about your request. We need to FaceTime so I can get you what you need. Frank and I are still playing catch up from being gone 6 weeks on vacation. Frank and I have been out pressure washing massive amounts of concrete and house since before 7 this am. Took a break and shower # 2, gonna start back this afternoon. How are the therapy sessions progressing? Hi! I haven’t forgotten either! This just reminded me I have a saved draft of an email response I started back to you and never got around to finishing!! I will do that as soon as I get back in town tomorrow! Life as been a bit busy lately! Ha!